George Howell was awarded the Lifetime Achievement Award by the Specialty Coffee Association of America in 1996, for having raised specialty coffee quality standards to a new level through his Massachusetts based company The Coffee Connection (1974 – 1994). He had grown The Coffee Connection into 24 company-owned stores in the Northeast, and sold his high-quality popular coffee company to Starbucks in 1994. 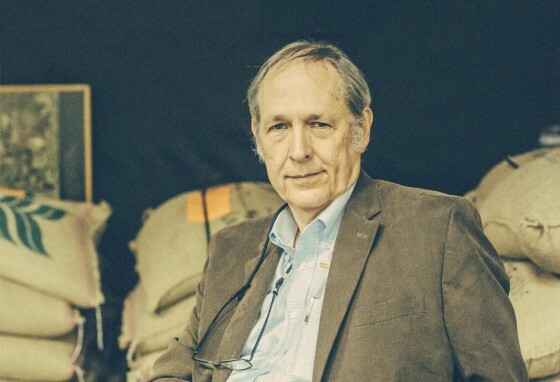 He returned to coffee-traveling world-wide, and in 1997 worked on models of economic sustainability for coffee farmers under the United Nations and the International Coffee Organization. This led directly to the founding of the precedent-setting Cup Of Excellence program in 1999; it established the world’s first international estate coffee competition and international internet auction that mightily contributed to breaking the commodity/price cycle for craftsman farmers in the specialty coffee industry. Howell, educated at Yale University travels extensively to coffee producing farms. He has written for many food and beverage publications, has guest lectured at Harvard University, Boston University and Johnson & Wales. In 2004 he created the George Howell Coffee and its Terroir Coffee brand, which specializes in single estate coffees and pioneers in raising quality coffee standards to much higher levels. In 2007 Howell was awarded the Specialty Coffee Association of Europe’s highest honor, the Better Coffee World Award. George recently returned to his cafe roots opening his first cafe, George Howell Coffee, in Newtwonville, MA. George spent his first thirteen years in one of those New Jersey towns where one is always dimly aware of the looming towers of New York City on the horizon. They seemed to him like beckoning gates to a vast and unknown world. In 1958, his family moved to Mexico City, where he briefly attended a British school before settling into the Lycée Franco-Mexicain. In the mid-1960s, George studied art history and modern European literature at Yale University. By then he was already developing a missionary spirit for artistic and aesthetic causes. In the early 1970s, he fell in love with the art of the Huichol Indians of Mexico and threw himself into exhibiting and curating their work in California. George’s goal was to promote the expressive vitality and original spatial mastery of certain Huichol artists; he hoped this would lift them out of that unfortunate appellation “folk artists,” which reinforced their anonymity and belittled their pre-Columbian religion (miraculously still intact). George is proud to have contributed to their finally being exhibited in Mexico City’s Museum of Modern Art in 1986. In 2000, he donated a spectacular 4’ x 8’ yarn painting by the celebrated Huichol artist, Jose Benitez Sanchez, to Mexico City’s Museum of Anthropology, where it can be seen today. For those interested in learning more about the Huichol, who call themselves Wixarika, George strongly recommends visiting the premier website on the Huichol: www.wixarika.org. By 1974, George and his wife Laurie had two children with another on the way. Exhibiting art hardly paid the rent. They left their hometown, Berkeley, in search of some undefined opportunity in Boston. Soon after arriving in Boston in 1974, George discovered he was a frustrated, spoiled Berkeley coffee drinker (Peet’s and a number of lighter roast competitors were already thriving by the time the Howells left). Boston was a desert of stale, brown-painted wooden pellets and liquefied ground saw dust.George was suddenly transformed into a coffee missionary and The Coffee Connection was born. For the next 19 years, George slowly built up The Coffee Connection to 24 company-owned stores exhibiting Huichol art on their walls and emphasizing coffee as a noble beverage worthy of being in the same league as fine wine. By 1994, however, George came to feel that the time-consuming demands of financing, operations, and marketing in an acceleratingly competitive environment were divorcing him from what really gave him pleasure: his family (by then, six children and three grandchildren) and the pursuit of great coffee. That year George sold The Coffee Connection to Starbucks Coffee Company. The Specialty Coffee Association of America (SCAA) awarded George its Lifetime Achievement Award in 1996 in recognition of his critical role as a pioneering standard bearer of quality coffee. After selling The Coffee Connection to Starbucks, George was free to resume his coffee education in new ways. He continued to travel to coffee-producing countries (Colombia, India, Sumatra, Brazil, Nicaragua, Guatemala, Mexico, Peru), offering his services as a coffee quality consultant. Beginning in 1997, he worked for the United Nations and the International Coffee Organization (ICO), creating models of economic sustainability for coffee farmers. This project led to his conceiving and co-founding the Cup of Excellence in 1999, a program designed to help break the commodity/price cycle in the specialty-coffee industry. George left the Cup of Excellence in 2002 to re-center his efforts on developing the quality-coffee market in the United States. George Howell Coffee represents a return for George to his roots: identifying, roasting and discovering the highest quality coffees possible. Our Terroir® Coffee line of single-estate and exceptional regional coffees is the next step in this unfolding odyssey as he presses to extend the limits of quality coffee standards. Our company is based on the simple premise that the apex of coffee quality is represented by single estates, be they farms or carefully focused cooperatives. Experienced wine aficionados understand the concept of “terroir” well—that ineffable combination of region, climate, and craftsmanship that give a wine its unique qualities. This concept is well established in Europe, where it has spread to olive oil, scotch, cheeses, and other fine food products. George, and now his daughter Jenny, travel to coffee-producing areas to personally identify and source these rare finds and has even begun to arrange for very special small lots directly from producers, hand graded to his quality specifications. Once a coffee is chosen and acquired, it is re-packaged and stored under special conditions, which halts the naturally accelerating degradation process of raw coffee. A coffee harvested nine months or even two years ago can now taste as if it just came off the farm. This is a world-innovation and, while expensive, it promises to revolutionize the world of quality coffee. Our coffees are also carefully tested and monitored to ensure their quality does not degrade. As always, we roast with a light touch, one that does not overpower the coffee but allows it to exhibit its natural sweetness. To date, no other roaster has gone to these lengths for the sake of quality. For George, it is about the thrill of inspiration and about respect—respect for the farmer, both his efforts and results; respect for the coffee, how we roast and package it; respect for you and your ability to discern a truly exceptional product. 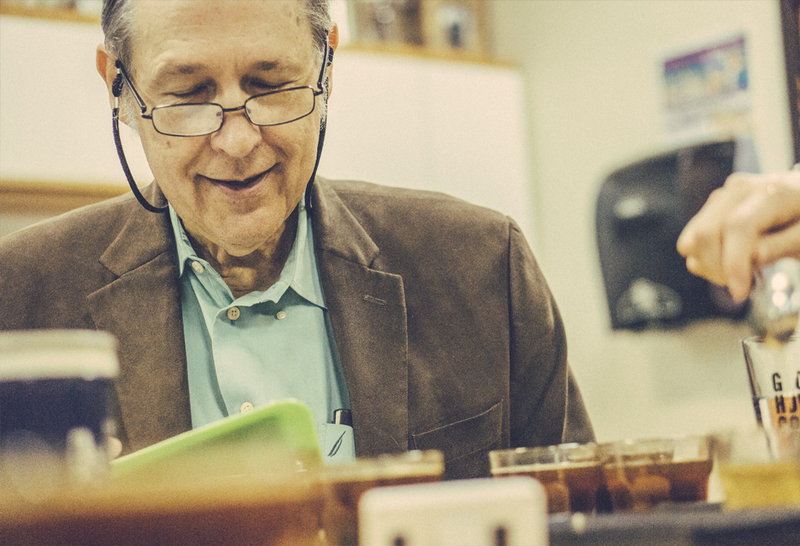 “George Howell…one of the coffee world’s most knowledgeable and passionate spokesmen. I know of no one who has done more to improve the quality of American coffee, and no one has taught me more, both directly and by example.”—Coffee Basics by Kevin Knox (John Wiley & Sons, Inc., 1997). “[George Howell] made The Coffee Connection one of, if not the premier, specialty coffee retailer of North America.”—Bill McAlpin, Hacienda La Minita, upon presenting the Specialty Coffee Association of America Lifetime Achievement Award to George Howell in 1996. “The Coffee Connection was different from the competition we faced elsewhere. The sale [in 1994]… gave Starbucks immediate access to a core of well-informed coffee drinkers.”—Pour Your Heart Into It by Howard Schultz (Hyperion, 1997) on the sale of The Coffee Connection in Boston to Starbucks. “Howell became legendary for doing anything to find clean, beautifully processed beans.”—The Joy of Coffee by Corby Kummer, senior editor of The Atlantic Monthly (Houghton Mifflin Company, 1995). “Mr. Howell (is) a walking encyclopedia of coffee.”—Florence Fabricant, food columnist for The New York Times, 1993. “More than perhaps any other roaster in the country, the Coffee Connection focuses on selling the most quintessential example from each coffee-producing country. [George Howell] is trying to purify and identify the core essence of each origin: What is it that makes Guatemala Antigua so good?”—The Perfect Cup by Timothy James Castle (Aris Books, 1991). “Back in 1994, before George Howell sold … the Coffee Connection … to Starbucks, he had the best selection of green coffees in the US. Now he has started a new coffee-roasting business called GHH Select (George Howell Coffee Company™). Most American “specialty” coffees, powerfully influenced by Starbucks, are roasted much darker than European coffee, covering or driving off the finest aromas. But Howell, as ever, roasts moderately…. On his recent list, the coffees from all seven geographic provenances were aromatic with fruit and flowers … in the way wine is.” —The Art of Eating, quarterly magazine by Edward Behr (2003, number 65).